Giving and receiving constructive feedback isn’t always the most fun part of being a teacher or student. 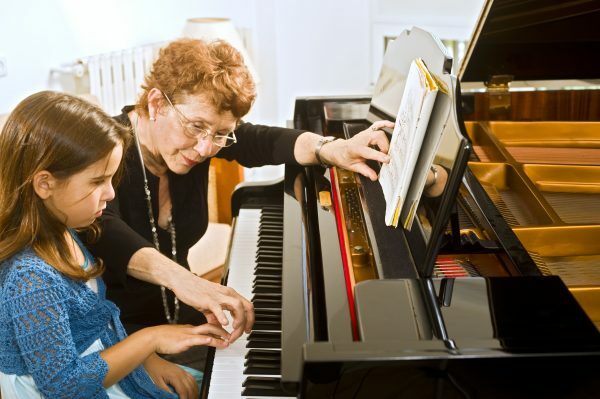 As the teacher, it’s part of your job to guide your students and help them improve in their musical practice. Within that guidance, there should be constructive feedback that helps the student along the way. As the student, it’s also not so fun to hear feedback because it means that they’re not always doing something right. But it’s important to remember that the feedback being received is to better their practice and progression. When it comes time to give constructive feedback always remember these few rules. Don’t compare students to one another, be specific, give clear action points, and remember to share the positive and not only the negative. You’ve been with your student for a few months now and have been training them from the beginning, but they’ve reached a wall and aren’t making as much progress as you’d like so it’s time to give some constructive feedback. Whether you’ve given feedback before or not remember that all students are different and how you give it and what you tell them should tailor to each specific student. First and foremost, there is never a situation where you should compare one student to another. When you start comparing students you’re telling them that they’re not good enough and should act more like the others and they will be better a better musician. Each student has their own strengths and weakness and that’s normal. Focus on the strengths and weakness and give individual feedback on what’s needed. Maybe one student needs more work on remembering all the keys of the instrument and another needs to work on their tempo. Remember no one is the same and it’s important to give specific feedback to students. Being specific with feedback and giving clear action points is another useful tip for you and your students. They work hand-in-hand. When you give specific feedback to the student to think about it’s much easier to give clear action items for them to work on. It’s better to not give generalized feedback because that’s when things start to get confusing and miscommunication can come into the equation. Although constructive feedback is always needed to help students grow, it’s crucial to give them positive reinforcements. As the instructor, you don’t want to always give negative comments. Finding a balance between negative and positive is the best solution. Decide on the balance you’d like to have for each student and help them reach that master level. Everyone likes to feel praised when they’ve done something right. The more you tell them that they’ve done something right they will want to continue practicing and improving because they like that feeling and want to continue having it. Being a teacher has ups and downs. One of the responsibilities is knowing when to give feedback and what type of feedback. Remember these few strategies and when it comes time for you to give feedback you’ll be more prepared. Now it’s time for you to go out and help the next Mozart take the stage.